WR-V Exclusive Edition is based on the VX variant; costs an extra Rs 18,000. It includes new body graphics, black seat covers and black tailgate spoiler. The VX variant is the top-spec WR-V with features like auto AC, rear camera and sunroof. 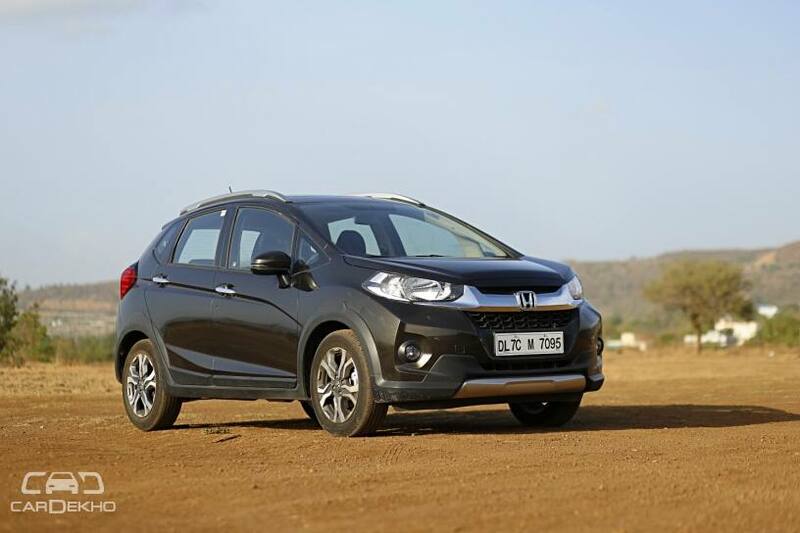 Honda has launched yet another special edition of the WR-V that gets a host of cosmetic changes for added distinction. The new WR-V Exclusive Edition is is priced at Rs 9.35 lakh (petrol) and Rs 10.48 lakh (diesel), making it Rs 18,000 dearer than the top-spec VX variant it is based on. The WR-V Exclusive Edition packs a new black tailgate spoiler with LED stop-light, black seat covers, side sill illumination garnish, body graphics and an ‘Exclusive Edition’ emblem. The WR-V Exclusive Edition is only available in two colours: Radiant Red Metallic and Orchid White Pearl. Honda offers body-coloured tailgate spoiler and seat covers as accessories for the WR-V separately as well. So if you’re planning to buy the Exclusive Edition only because of these two additions, you can, in fact, get both these fitted post purchase in the regular model as well. That way, you’ll be able to buy the WR-V in any exterior colour you want. The WR-V Exclusive Edition gets the same set of features as the top-spec VX variant. These include an electric sunroof, front fog lamps, alloy wheels, a 7-inch touchscreen infotainment unit with MirrorLink, auto AC and a rear parking camera. The WR-V is available with a choice of 1.2-litre petrol engine and a 1.5-litre diesel engine, both of which are mated to a 5-speed manual transmission. There’s no automatic variant as of yet. Honda also offers another special edition variant of the crossover called the WR-V Alive Edition. This one is based on the S variant but packs additional features such as alloy wheels, rear parking sensors, black leather upholstery with ‘Ailve’ logo and IRVM with rear camera display. The Alive Edition is priced at Rs 8.08 lakh (petrol) and Rs 9.16 lakh (diesel). The WR-V competes against other sub-4m crossovers and SUVs such as the Ford Freestyle, Ford EcoSport, Tata Nexon and the soon-to-be-launched Mahindra XUV300. Prices for the WR-V start from Rs 7.84 lakh (all prices, mentioned are ex-showroom Delhi).